A new study on high blood pressure led by scientists at Imperial College London alongside Dr Mariachiara Di Cesare of Middlesex University reveals the number of people with the condition worldwide has nearly doubled in 40 years. The research involved the World Health Organization and hundreds of scientists around the world, incorporating blood pressure measurements from nearly 20 million people. 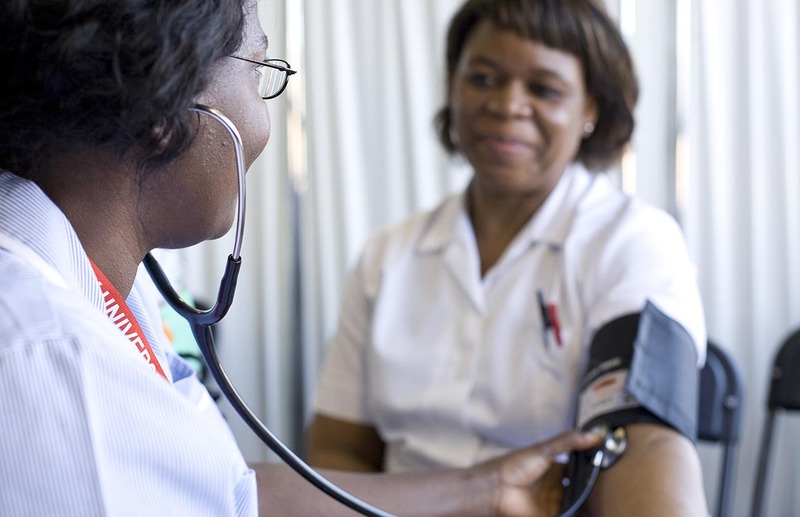 Published in The Lancet, the findings show that while blood pressure has dropped sharply in high-income countries, it has risen in many low and middle-income countries - especially those in Africa and South Asia. The UK had the lowest proportion of people with high blood pressure in Europe in 2015, while South Korea, the USA and Canada were lowest in the world. Co-author of the study, Dr Mariachiara Di Cesare, from the Department of Natural Science at Middlesex University London says the findings show the need for a worldwide effort to improve outcomes and combat high blood pressure. “This work has been possible thanks to the effort of hundreds of health scientists around the world who have shared their expertise and made this innovative research possible,” she says. Professor Majid Ezzati, senior author of the study at the School of Public Health at Imperial says the research shows a significant change over the last 40 years. “High blood pressure is no longer related to affluence – as it was in 1975 – but is now a major health issue linked with poverty,” he says. “Increasing evidence suggests poor nutrition in early life increases the risk of high blood pressure in later life, which may explain the growing problem in poor countries. The report authors say the reason for the decrease in high blood pressure in high-income countries is unclear, but it may be linked to overall better health and increased consumption of fruits and vegetables. High blood pressure is the world’s leading cause of cardiovascular disease, which leads to stroke and heart attacks, and is thought to cause 7.5 million deaths a year across the globe.